Last year we wrote about this huge event and we are back this year, same period, to announce the beginning of the thirty-third International Film Festival in Sao Paulo. As always the program is huge and there will be any kind of movies so that everyone will find something interesting to watch. The festival started in 1977 and it's actually one of the most important cultural event of the country. This year the festival takes place from October 23 to November 5th and the event will have record number of movies in competion. 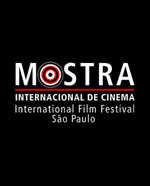 The projections are distributed among 16 cinema rooms, mainly concentrated in the region of Avenida Paulista (Paulista Avenue) and surrounding neighborhoods. Guests and special events are part of the agenda. The event is expecting to have an audience of 200.000 people. The schedule includes a display of award-winning films at the Cannes and Berlin festivals of this year. The official opening of the Exhibition will be held once again at the Ibirapuera Auditorium and there will be a screening of "Looking for Eric", the Ken Loach's movie, nominated for the Golden Palm at Cannes. Download the event programming schedule organized by date (PDF). Where: The films of the 33 Festival will be projected in 16 rooms, distributed in different places. 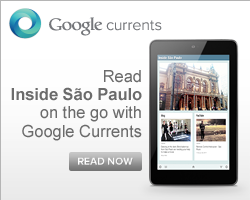 How much: R$ 14 during the week; R$18 from Friday to Sunday. Discounts for students.